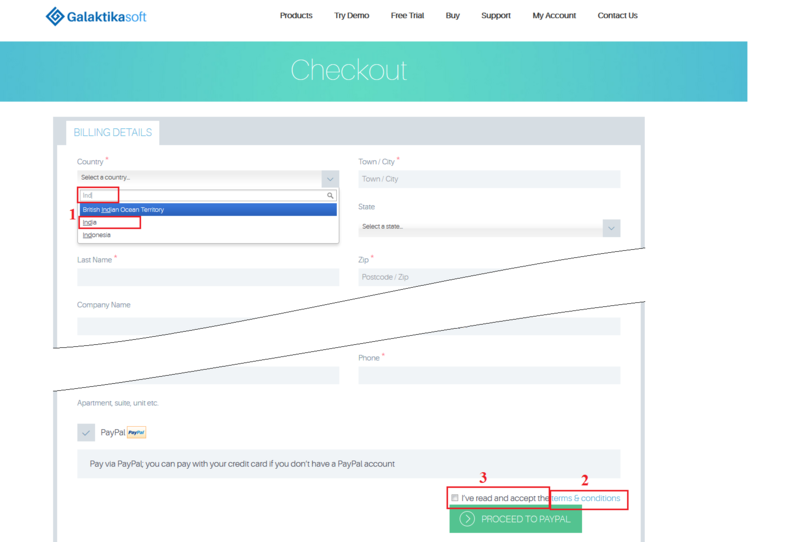 If you buy any product Xafari, after selecting a product, you click on 'Checkout' and you see the area 'Billing Details'. On the page, you must enter basic data (field with star) and read and accept the 'terms & conditions' (see attached file BillingDetails.png, points 2 and 3). In attached file BillingDetails.png in point 1 you can see filter for India. Please, try this solution and let me know whether it suits you or not.